When you want a vehicle that offers you more for the money, the right choice in the SUV market is the Dodge Journey. This is one of the most affordable models on the market with room for seven people and a cavernous cabin for you to have what you need. 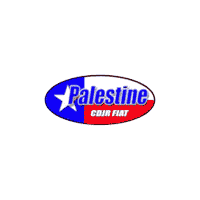 Let our team at Palestine Chrysler Dodge Jeep Ram FIAT show you the amazing value offered of this SUV you’ll want to drive around Athens, TX. You don’t hear a lot about the Dodge Journey, and that’s a shame. This SUV is one that allows you to have three rows of seats for the people you need to take with you on an adventure that starts in Athens so that you can have a weekend filled with fun. When you need to bring home a load of materials to enjoy getting a project done, the Journey can do the job. Toss in the fact that you have an efficient powertrain in this SUV and the technology that can make it easy for you to have the connectivity you want, and the Journey will be the right choice for you at our dealership. Visit our location and take a look at the pair of engines you’ll see under the hood of this SUV. The Journey can be had with a four-cylinder or V6 engine to make sure you have the efficiency and the ride you want. Let our team help you take a drive in models with both engines under the hood so that you can choose the right power for the Journey you’ll use on the roads you travel every day. This can be one of the most important aspects of the decision you need to make for this SUV. How Many Will You See? Make the short drive from Athens to our location in Palestine, TX and you’re going to see the Dodge Journey offered in four different trims. These trims are SE, SXT, Crossroad, and GT to make sure you can have the choices you want. All models now have a standard third-row seat, which was optional on some models in the past. The Crossroad trim now has a new “Black Noise” set of 19-inch wheels to carry the vehicle around in style, while the Blacktop Package is offered for the SE for the 2018 model year. Tell our team which one catches your eye and make it the one you take home today. As you wait for our team to take you out for a test drive, you can explore the different aspects of the Dodge Journey you’ll use for a test drive. You’ll notice some built-in second-row storage bins and a compartment that’s placed beneath the front passenger seat that gives you more storage than you might expect in the SUV you want to drive. This is a value-based SUV that can be perfect for you; let our team at Palestine Chrysler Dodge Jeep Ram FIAT show you how this SUV fits into your lifestyle today.